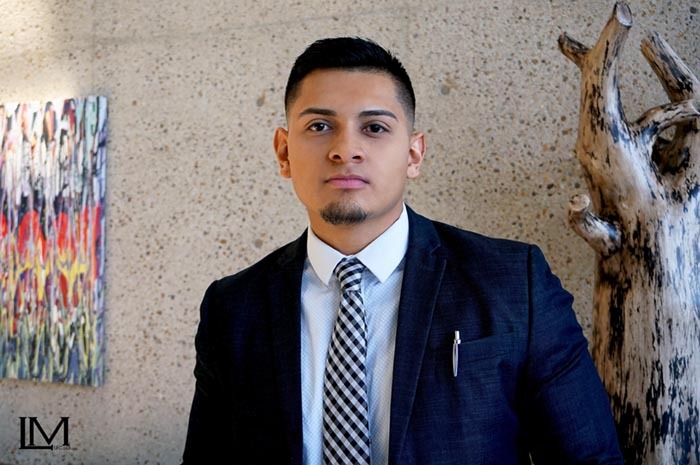 Team Member Spotlight Series: José Luis Garcia Jr. | Lucio Marketing, Inc. Team Member Spotlight Series: José Luis Garcia Jr.
Meet José Luis Garcia Jr., an essential team member here at Lucio Marketing. We are very excited to have José on board our ever-growing team. 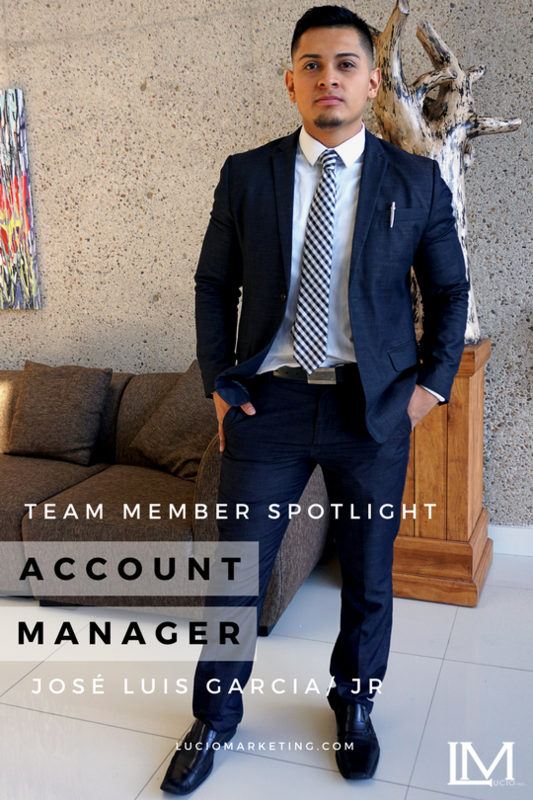 José, who goes by the name JR in the office is one of our top Account Managers who is helping lead our team to success. With JR’s rapid path in exceeding company goals in just a short time, we know he is well on his way to be a top leader here at our McAllen TX location. We have see JR become an outstanding Account Manager who is helping shape our business and our featured Lucio Marketing Team Member this week in our Team Member Spotlight Series. Like all our Account Managers, the skill JR brings to the team is greatly appreciated. A: Family, my daughter and my son. A: Management position program, amazing atmosphere. Best job I ever had!! A: My goals and future on growing in this business and my "Y"! Q: What's your favorite social media platforms? A: Gym, fitness. In this business pulling yourself further that what you expected you could go really makes a different in the path to success. The same goes for fitness; if you don’t push yourself to be better then you wont get fit. A: Spending time with my kids. A: Being responsible, growing, saving money, realizing a great opportunity in my future. A: Professional, fun, caring, motivational, energy, optimistic, etc. A: Grow my team, networking with different type of people around the country, experiencing new markets, road trips, and team nights. A: Meeting Mike T, and seeing the representatives I trained getting promoted to account manager! A: Experiencing new territories, environment, people, being able to learn about them! A: Mr. Lucio (director of operations) and Jesus Garcia (assistant director) to reach my goals and giving my family a better future. A: There is many, list goes on and on. My top one would be, knowing your Y. A: Helped me be more responsible by always having me thinking about my future and achieving my goals. I realized it is so important to plan ahead not only in a business aspect but also in life. A: Keep your standards high, know that in this business the sky is the limit and never settle for the less. This business is very professional. A: Always have a student mentality, be willing to learn and be hungry and humble. Q: How can the public get to know/ reach you on social media? A: Message me directly on any set social media. If you any questions about the business. A: My only regret about Lucio Marketing and this business would be.... not finding it any sooner!!! If you want to find out more about JR’s work or about Lucio Marketing and what we do, follow us on our social media channels.